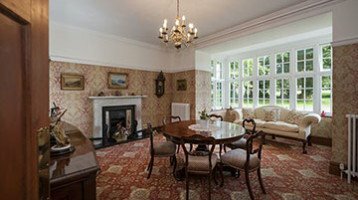 Last year we saw the introduction of several Timber Style uPVC Windows with the timber styles of the 19th/20th century Windows. 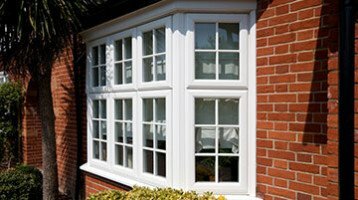 Cheam Windows are a local firm and have been supplying Windows and Doors for over 25 years. We have thousands of happy customers in Surrey and London. We mentioned the Residence 9 system last year and in addition we also have our own product. This range extends our development of the Cheam Energy A system. This is a proven window with it’s high thermal insulation rating, security hardware and easy maintenance. This range is called Cheam Flush SASH. A Flush Sash refers to the way that the opening part of the window (sash) doesn’t protrude beyond the front of the whole window frame but is actual level or flush within the frame. It offers a very similar appearance to the R9, lacking some of the authentic detailing but enabling us to offer this window and door system at a great price that falls between our Energy A and R9 ranges. Our Flush SASH is available in a range of wood grained or coloured finishes with the option of differing finishes on the frames and opening sashes as well as on the inside of the window. This enables us to match the black frames with white vents and openers that is so prevalent in the Surrey and London areas. Incidentally, all of our Timber Style uPVC Windows have received approval for use in conservation areas within the London Borough of Sutton. We are ready to help you at Banstead, Hampton Court and Worcester Park and would love to see you. We are open Monday to Saturday.